Kyoto is a much smaller city compared to Tokyo, but also Osaka or Yokohama, so the choice of the area where to stay is a bit less relevant, because there are very few areas that are really far away from the city center. In any case, staying in the central areas is obviously the best. So what are the recommended areas to stay in Kyoto? Gion, the area around Kyoto station and the area described in this website as Central Kyoto, especially around Pontocho. If you want spend little and want to stay as close as possible to Kyoto station for your day trips, this is probably the best hotel. The station is only 200 meters away. 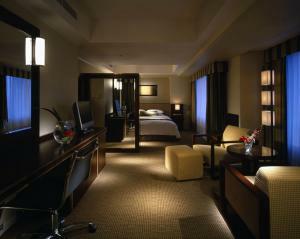 Rooms are quite small but equipped with all the necessary amenities. I point out the possibility of renting bicycles, the excellent ample breakfast available for a surcharge and a free ticket to go up on the nearby Kyoto Tower (200 meters) for all guests. Doubles on offer from 8500 yen per night. 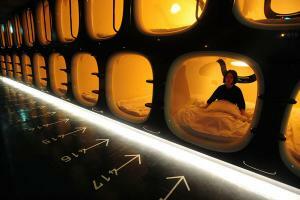 This is a "cabin hotel", a new concept between a capsule and a hotel, near Karasuma station in the center of Kyoto. There are two types of rooms, the "business" ones, where there is only a bed, and the "first class" ones, which are a bit wider. All rooms are equipped with TV and wifi. The public areas are clean and modern. Staying here is an interesting experience that allows you to sleep in the central area at very affordable prices, perfect for solo travelers. The normal price for a night is 6000 yen, but you may often find rooms on special offer from 3500 yen. A very large hotel located a few meters from Kyoto station, south side. A point in favor of this hotel, in addition to the convenient location to visit the city and its surroundings, is the size of the rooms, which in Japan are usually really limited in hotels of this price range. The El Inn offers standard single rooms from 6000 and a bit larger ones with a sofa at 6800 yen per night. 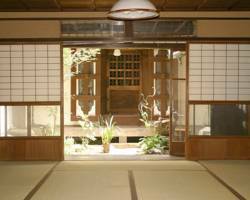 Located in a very central area, 15 minutes walk from Pontocho, 20 minutes from Gion, 1 minute from the metro (Shijo). The rooms of this hotel can be defined really "large" compared to other hotels of the same level in Japan, the smallest ones have a width of 18 square meters. Single rooms from 6300 yen, doubles from 13000 yen. 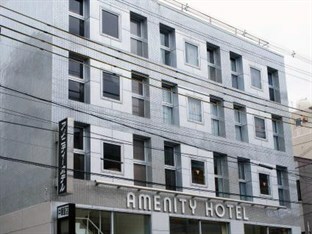 Hotel located 500 meters far from Kyoto station, north side. The rooms of this hotel are a little bigger than the Japanese standards for hotels of the same level. The hotel also offers a free spa on the top floor of the building for all guests, with a sauna and a beautiful Japanese-style public bath. 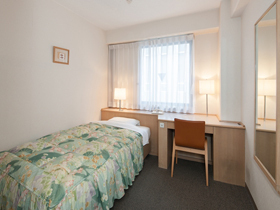 Single rooms on offer from 8000 yen, double rooms from 12000 yen per night. 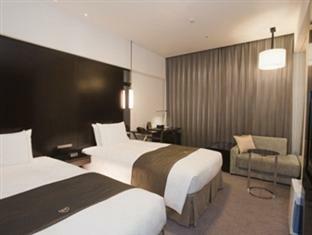 This hotel is located in Gion, the most historic district of Kyoto, a few meters from the main streets of the area. It is difficult to find other hotels with a lower price in that location. The rooms are equipped with all the basic amenities but are very small. Single rooms starting from 12000 yen per night. Modern and stylish hotel located in a central area of the city, less than 1 minute walk from Pontocho, the most famous area for restaurants, 10 minutes from the "geisha neighborhood" of Gion, 2 minutes from the metro (Kyoto Shiyakushomae) and Sanjo station (Keihan Railways). Large, well-decorated and well-equipped rooms place this hotel under the "luxury" accommodations but definitely above the Japanese standards for mid-range accommodations. Highly recommended for those with a budget which is not small but not huge neither. Doubles from 17,000 yen per night. Modern building located a 5-minute walk from Pontocho and 15 minutes from Gion. Just below the hotel you can find the metro station of Kyoto Shiyakushomae, which can be reached without even leaving the building. 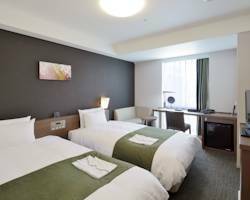 Top quality hotel with a level of services very close to that of 5-star hotels, and many rooms offer panoramic views over the city with the mountains of Higashiyama in the background. 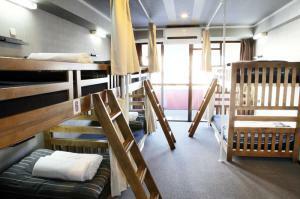 Single rooms on offer from 15,000 yen per night, double rooms from 20,000 yen per night. Located in the central and modern area Kyoto, this hotel is just 200 meters from the metro (Shijo), and the areas of Pontocho and Gion can be reached within minutes by bus or on foot in about 15 minutes. The hotel is located in a modern high-rise building, therefore many rooms, decorated in classic European style, have a nice view of the city. Within the structure there are five restaurants and a beauty salon. As for prices, there are beautiful suites from 50000 yen per night, but also beautiful and spacious "standard" rooms from 17,000 yen per night for one person or 19,000 yen per night for two people, making it a bit more affordable even for non-millionaires. Visit the page about ryokans in Kyoto. As already mentioned in the title above, this is neither a hotel, nor a ryokan, but a real apartment of 70 square meters, on the ground floor of a machiya in the historic district of Gion. What are the machiyas? Machiya are nothing more than the old wooden houses once inhabited by artisans and merchants, and represent one of those elements making Gion an historic district. The apartment includes a large room for sleeping (with futons and tatami), a dining room with kitchenette, a bathroom and a small garden. 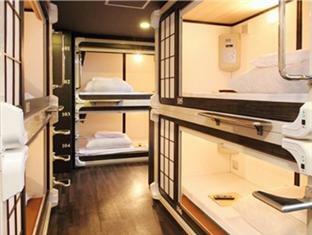 It can accommodate up to 5 people and costs 26,000 yen per night, or just over 5000 yen per person if you are 5 people. If you are less than 5, sometimes you could find some special offers, check it out on booking.com. A very original idea to immerse yourself in the Japanese culture. A unique capsule hotel, with a hyper-modern design which makes the interior look like the inside of a spaceship. Separate floors for men and women. 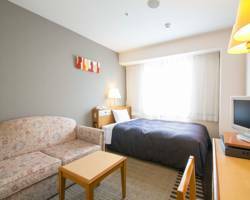 If you book in advance then you might find a capsule on offer from 2800 yen per night, and that would be probably one of the most affordable accommodation of all in Kyoto, within the city center, just a few meters from Kawaramachi station and the area of Pontocho. This hotel is located at Higashiyama, about 10 minutes walk from the area of Gion. It offers a variety of different accommodations: capsules (capsule hotel), private rooms for 2/3 people, traditional-style rooms with tatami and futon. Inside there's a Chinese restaurant. 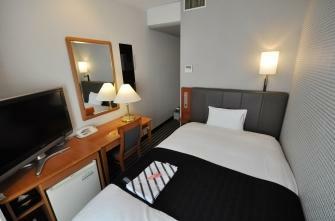 Central hotel, 5 minutes walk from Kyoto station, highly recommended for those with a limited budget. It offers two types of accommodation: very small private rooms for 1 or 2 people (from 8900 yen per night), with futon bed, TV, air conditioning and a private bathroom with a modern monsoon shower, or ryokan-style capsules (from 3900 yen per night). Guests have accesso to a corner with microwave and kettle, tea and coffee, wifi, computer stations. The hotel is very popular among foreign tourists, staff speaks good English and is very helpful. The structure is brand new and offers wonderful common areas: bathrooms, showers, reading room with several guides in various languages, full-equipped kitchen, breakfast room with complimentary drinks, bread, rice and miso soup every morning, wifi. Coin-operated washing machines (200 yen) and bicycle hire (500 yen per day) available. This hostel offers beds in mixed dorms (there's an area for women only) from 2400 yen per night, but also single rooms (from 4,000 yen) and double rooms (from 6600 yen). Full of foreign tourists, the very helpful staff speaks a good English. This hostel is located in the modern shopping district of Kyoto, 2 minutes walk from Pontocho, 10 minutes from Gion and 8 minutes from the nearest subway station (Shijo), from which you can get to Kyoto station in 5 minutes. The hotel offers wifi, computer stations, washing machines, a shared kitchen and occasionally organizes parties open to all guests, a great way to meet new people, both japanese and foreigners. Dormitory beds from 1800 yen per night when there are special offers (in this case it becomes the cheapest hostel of Kyoto, the standard price is 2500 yen per night. 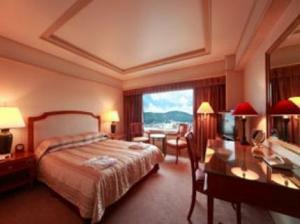 Single rooms from 3800 yen per night and double rooms from 2500 yen per person per night are also available. 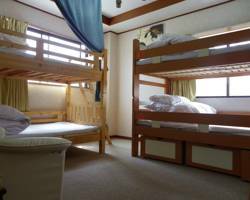 This hostel is located in the most famous district of the city, Gion (the "Geisha neighborhood"), and a short distance from the bridge to go across the river and get to the modern area of the city and Pontocho. All those services usually available in hostels can be found here too: wifi, private lockers, washing machines, kitchen and bathrooms shared with other guests. Free tea and coffee with little snacks. 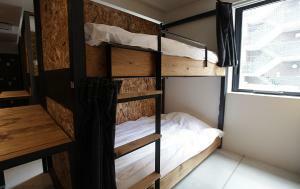 Dormitory beds for 2500 yen per night, private single rooms for 3500 yen per night. It is the cheapest accommodation of all if you want to sleep in Gion. Unlike Tokyo or Osaka, internet cafes are not very common in Kyoto. For example, popular chains like Bagus, Manboo or Gera Gera can't be found there. The only famous national chain with branches in Kyoto is the Popeye Media Cafe. There are two branches of this famous chain of manga kissa in Kyoto, both in the modern and central area of the city: one is located along Shijo Dori, a few meters from Kawaramachi station, another one is located about 800 meters further north along Kawaramachi Dori (see map below). This internet cafe does not belong to any famous chain, it is small but still offers several free drinks and a collection of manga and magazines to read freely. It is practically the only internet cafe near Kyoto station, right in front of the South Exit. This is the most recommended internet cafe in Kyoto, because it's accustomed to have non-Japanese customers so you shouldn't encounter any particular problem. If you go there for the first time will have to apply for a membership card which costs 200 yen. For rates in more detail you can check the english page in their website.